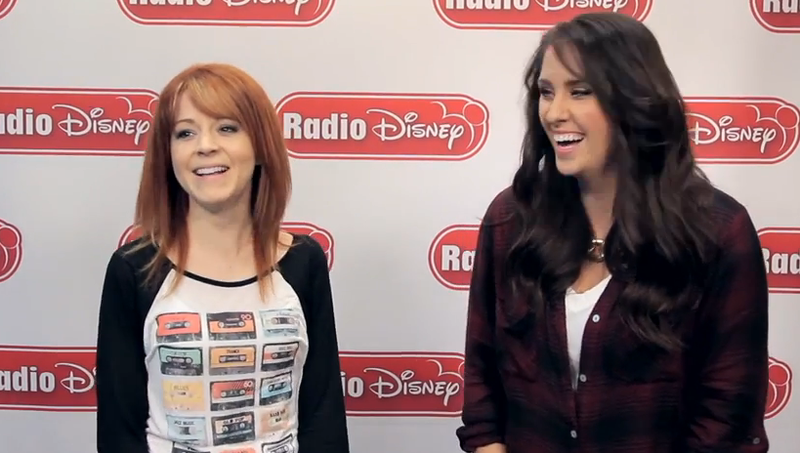 VIDEO: Game Time With Lindsey Stirling & Radio Disney! A visit to Radio Disney studios always seems to bring out game time with our fave celebs. Lindsey Stirling recently made her own visit to the studio, hanging out with Radio Disney personality, Brooke Taylor. Brooke and Lindsey played the game “Would You Rather” together with Lindsey having to choose one thing or another. Check out what Lindsey would do in certain situations in the video below! 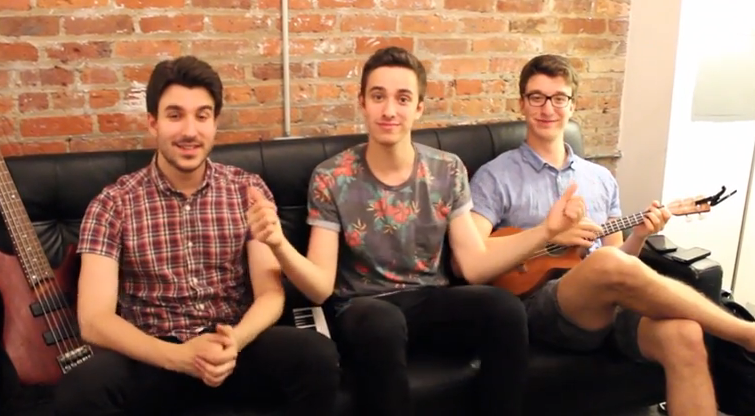 AJR’s Ready To Answer You For Their Tour Q & A — Watch Now! AJR is finally on tour with the awesome Lindsey Stirling. And while on tour, the guys have decided to get a little personal with all of their fans with a Tour Q & A video session. They know you must have a lot of questions you want to ask and they will be more than happy to oblige with answers. To find out how to submit your question, just watch the Q & A kickoff video below! Win A Pair Of Tickets To See AJR On Tour With Lindsey Stirling! 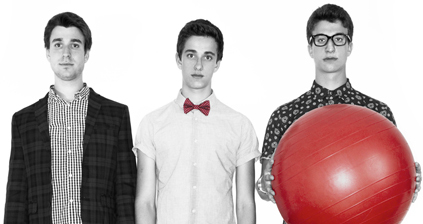 Are you a fan of AJR? How would you like to win tickets to see them this summer as they go on tour with Lindsey Stirling? To get in your chance of winning the AJR Connect Sweepstakes, just click here to enter! Good luck to all those who enter! Sweety High Sits Down With Lindsey Stirling, Pop Violinist, And Chats Music! Sweety High was able to speak with rising star Lindsey Stirling about her humble beginnings and her climb to internet stardom in a recent interview! Lindsey is a violinist who has brilliantly combined her classical training and love for pop music to become a viral YouTube sensation topping more than 543 million views! Lindsey Stirling started playing the violin at the age of six with encouragement from her mother. Though Lindsey’s family didn’t have a lot of money when she was growing up, her mother took note of her interest in playing the violin and her parents made her dream a reality by making sacrifices. Lindsey took traditional violin lessons from a very young age. Lindsey explained that musicians with a strong foundation in the basic elements generally find it easier when they decide experiment with other musical styles. Lindsey was inspired to learn to play the fiddle and play pop music, as well as to create music of her own. Around the same time, Lindsey’s friend invited her to join the rock band, Stomp On Melvin. Throughout her college years she continued to perform with local bands. During college she also uploaded her first viral video, a violin cover and dance to “Pump It” by The Black-Eyed Peas. “This is the video that America’s Got Talent found when they invited me to tryouts,” Lindsey said. After appearing on America’s Got Talent, Lindsey struggled to find her place within the music industry. The show’s judges told her that she would never succeed without a group, while managers, booking agents and producers insisted that her act would be impossible to market. Despite her detractors, Lindsey always believed there was an audience for her unique brand of music. She explained that there isn’t enough community support or general interest in classic music, especially among young people, for classical music to thrive. Eventually, she met filmmaker and YouTube director Devin Graham, who helped Lindsey develop her YouTube channel. She also met Ryan Wyler, the first manager who was willing to invest time into Lindsey’s talents, as well as Marco G, her first producer. She has come a long way since being told she would never succeed. She now has more than 4 million YouTube subscribers, and last year her cover of “Radioactive” with the musical group Pentatonix won the Response of the Year award in the first ever YouTube Music Awards! Toward the end of last year, Lindsey re-released her self-titled debut album, which is now available in Target, Best Buy and Barnes & Noble locations across the nation. But fans did. Lindsey said she was shocked when it ranked #20 in album sales. Lindsey overcame many obstacles to achieve the success she has today. She hopes that other innovators will also be able to break onto the music scene. She added that no one should ever let others tell them that they can’t do something, to just stick to doing what they are told or to repeat what has already been done in the past. “I believe that the creation of beautiful things—in whatever form that may be—is the key to happiness,” she said. Stay updated on all of the latest from Lindsey Stirling by checking out her social pages below, and share your own unique musical talents with us at Sweety High! Check out Lindsey’s new song, “Stars Align” below.